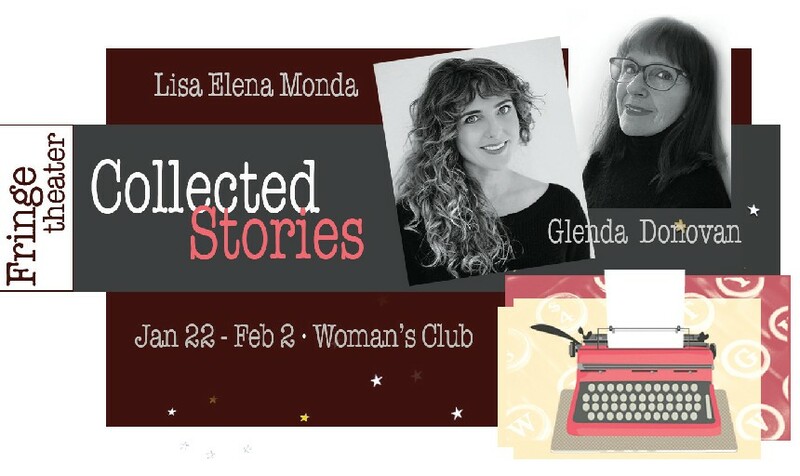 Fringe Theater presents “Collected Stories” by Donald Margulies Jan. 22 through Feb. 2 at the Key West Woman’s Club. Playwright Donald Margulies is the author of over a dozen plays, including Dinner With Friends, which won the Pulitzer Prize for Drama in 2000. “Collected Stories” follows the relationship between author Ruth Steiner and her studentturned assistant over a six-year period. Their professional relationship grows more complicated over the duration of this thoughtp rovok- ing play that will make you laugh as often as it makes you think. “ Collected Stories” has enjoyed three New York revivals since it premiered in 1997 featuring actors like Uta Hagen, Helen Mirren and Debra Messing. It was most recently produced on Broadway with Linda Lavin and Sara Paulson. The New York Times praised the show as a “tightly focused play that digs into its tale of ethics with intelligence and sharp humor.” In keeping with Fringe’s commitment to take you places, the production will be staged at the Key West Woman’s Club. This intimate setting will (quite literally) keep audience members at the very edge of the play’s six scenes. Playing Ruth Steiner is Glenda Donovan, a retired drama teacher and director who remains theatrically active in both Key West and the Boston area. Ruth’s student Lisa Morrison is played by Lisa Elena Mona, who is both a graduate of the Stella Adler acting studio in New York and a local boat captain. The production is directed by Annie Miners, a veteran of Key West theater who is a popular actor, director and stage manager in town.